Everyone here at Diehl CDJR of Robinson area knows that buying a new or used car is a big deal. It’s a large investment, something that you will be in a lot and something that you need to rely on. It makes perfect sense to us that you need to take your time in deciding which vehicle will be right for you. That’s why we will never rush you or pressure you. In fact, it’s quite the opposite experience. 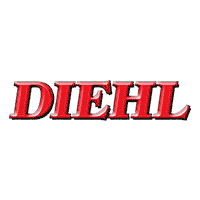 At Diehl CDJR of Robinson, we will show you all of the new Dodge, Jeep, RAM or Chrysler or used cars that catch your eye. We will provide you all the details about each one and answer any questions you might have. We also will respect the time that it will take you to decide on which one you will be most happy with. Our professional service extends to you even if you need to finance your car, truck or SUV. That’s right, we can help you obtain a great car loan or lease right at our dealership. It’s also important for you to know that they will be one of the best financing options you will receive all around the Pittsburgh, McKees Rocks, Coraopolis and North Huntingdon area as we work with a wide range of local lenders. Then of course, if you are looking for car service or repair on your current vehicle or later on one of the ones you will be purchasing today, we’ll help you will that too. Just like our sales and financial staff, our technicians are honest, professional and do not rush you in making your decisions. It’s your car after all. Or if you just need to purchase any of our OEM Mopar parts (i.e., oil filters, batteries, windshield wipers…) we will be more than happy to help with that. If you would like to know more about Diehl of Robinson, our outstanding lineup of new Grand Caravan, Grand Cherokee, 1500, Town & Country, Journey, and used models, or excellent service, contact us today or come by in person. We’re centrally located at 6181 Steubenville Pike, McKees Rocks, PA. And if you are driving from Pittsburgh, we’ll see you in about 20 minutes!